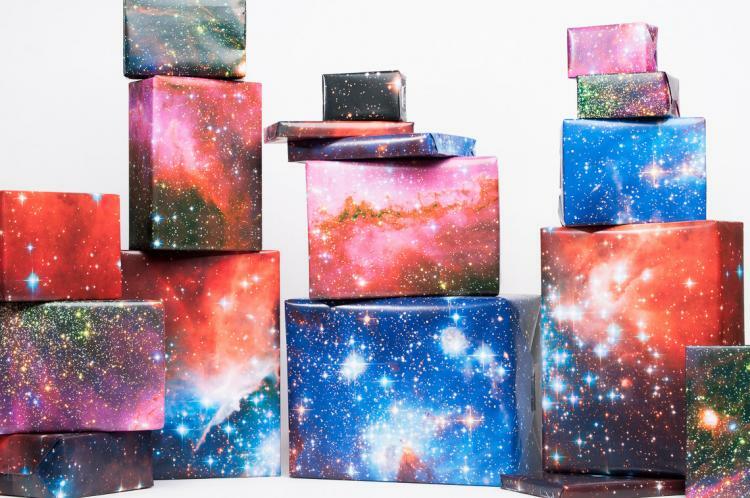 Wrapping a gift for a space loving geek? 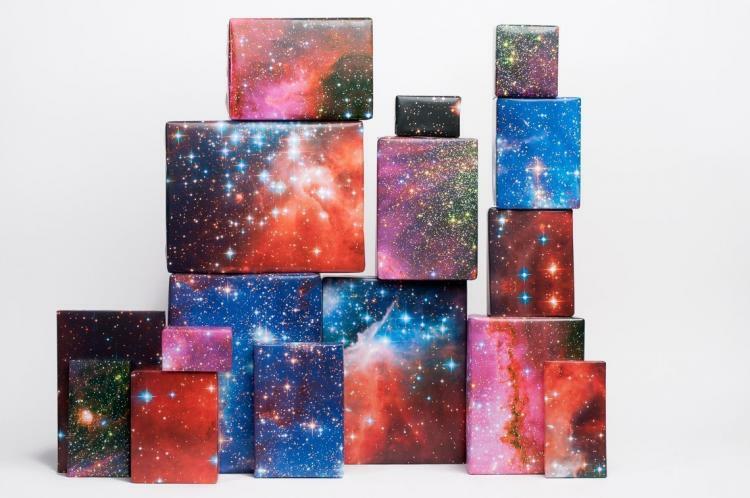 This wrapping paper is made from high-quality images of galaxies, and unlike how regular wrapping paper is just a pattern that's repeated every few inches, this space wrapping paper is one large printed image, which makes it a bit more expensive, but at the same time, infinitely more awesome. 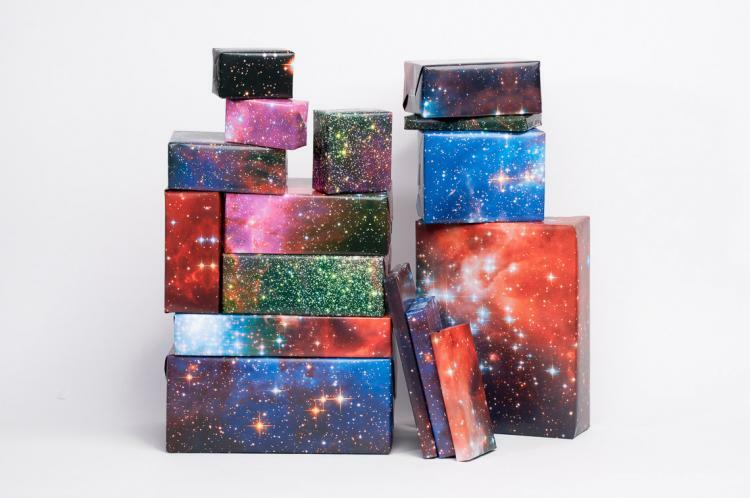 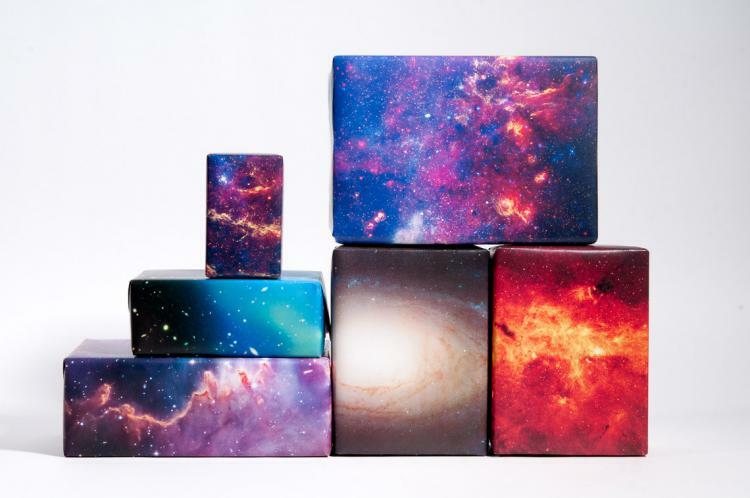 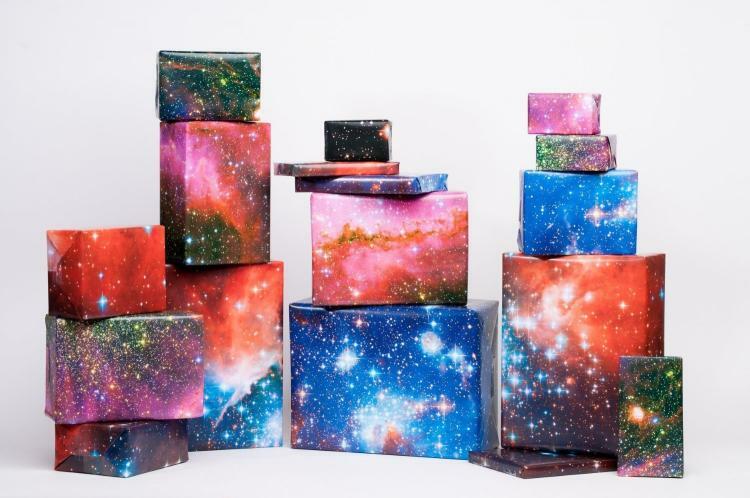 Perfect for wrapping up a magnetic globe puzzle, a galaxy bedding set, an astronaut phone stand, or any other geeky gift idea, the galaxy wrapping paper will surely light up the face of any space geek that sees it, and let them know just which presents are for them. 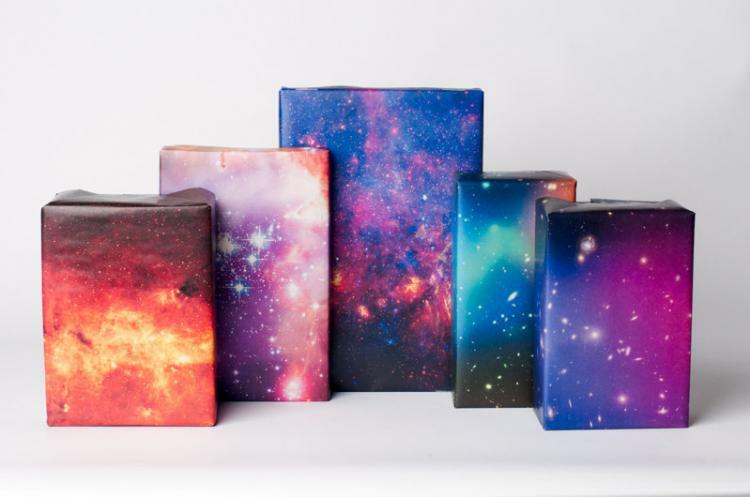 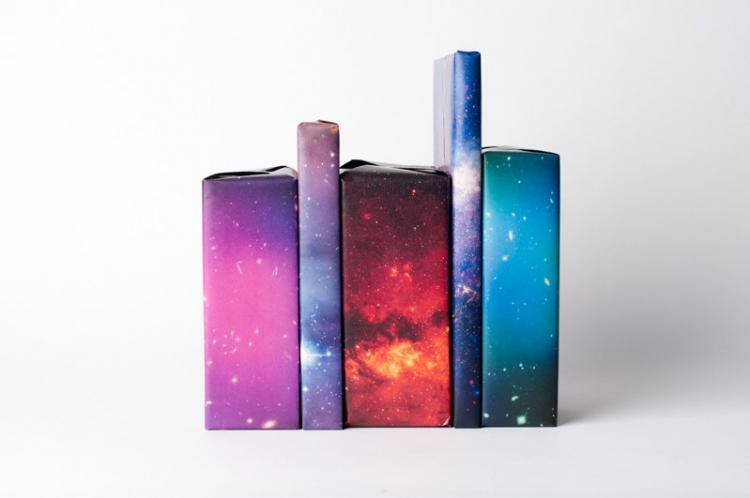 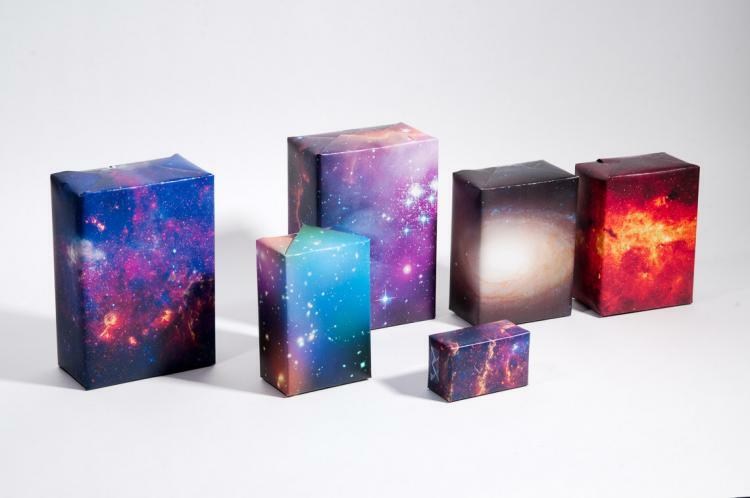 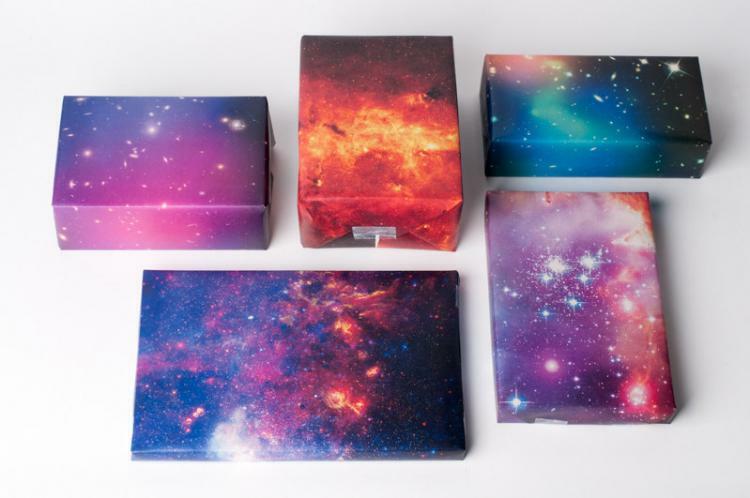 The galaxy space themed wrapping paper comes with three rolls that each have their own galaxy design on them, is made from super lush, bright, and smooth paper, and uses a super vibrant galactic print as the image for each roll. 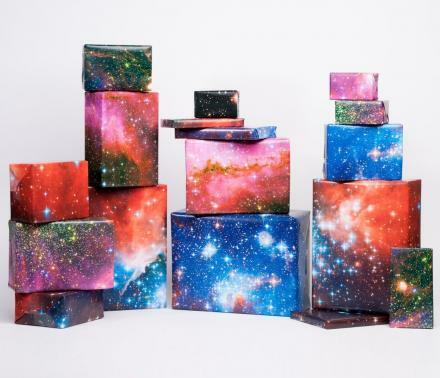 Each roll is smaller than a standard sized wrapping paper roll as each one will just wrap a standard shirt box with a little bit of paper left over, but since you're using awesome space wrapping paper it's surely worth it. 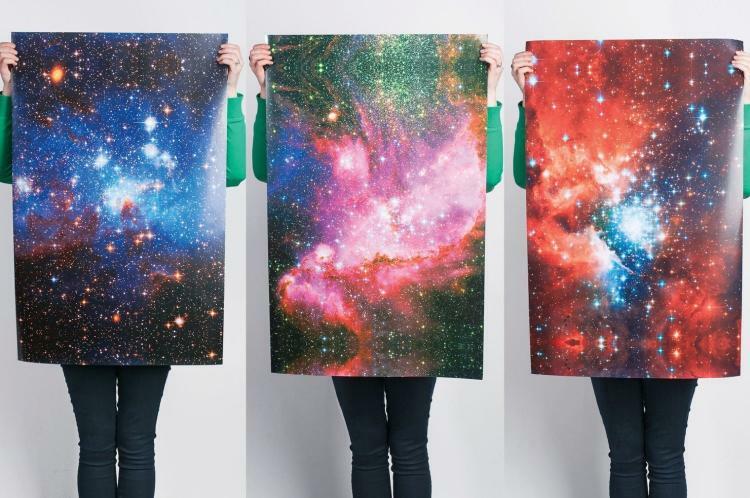 Each galaxy wrapper paper comes in a sturdy tube that will have no creases, and once taken off the tube will measure 37 inches long x 24 inches wide.